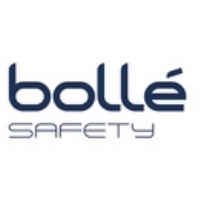 Bolle Silium Metal Frame Safety Spectacles? Sleek sports metal provides the wearer with optimal protection. Panoramic vision with integrated side shields. Self adjusting spring temples. Soft adjustable nose pads and Bolle?s 'Tip Grip' system for improved fit.